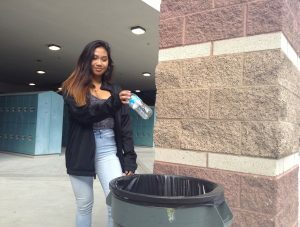 In the school courtyard, Marla Castro,junior, disposes her trash in hopes to decrease littering in her community. Photo by Roby Tan. Stories about those poor turtles ingesting plastic straws fill the news and tug at heartstrings, yet no one bats an eye when they see someone dispose of their trash in the wrong bin. “It’s just one straw, unable to make a difference,” people reason, but when seven billion other people think the same way, the results can be devastating. According to a study published by the Science Advances, there are approximately 8.3 billion metric tons of plastic in the world, even more than the world’s total human population. Most plastic is only used once; the majority isn’t disposed of correctly in the first place where it could be reused and recycled. 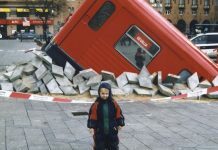 Other nations in the world are joining the environmental movement. Starbucks branches in South Korea started providing paper straws instead of plastic straws effective Sept. 10 as soon as a nationwide law to use mugs instead of the per usual plastic cups was approved. As other countries make the switch, other states in America are beginning to change as well. 24 out of 50 states take their own actions towards environmental strides. Hawaii charges 15¢ for reusable plastic bags. California and Colorado charge 10¢ per plastic bag while Arizona and New York charge 5¢. The rest have city-wide plastic bag bans. This pushes customers to remember to bring their own tote bags and is a gateway to the established bag ban. 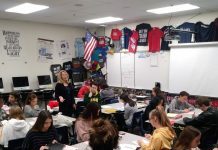 Liberty High School and Basic Academy recycle aluminum cans and plastic bottles and provide a recycling bin beside every trash can in school as stated by “The Las Vegas Review Journal.” Schools can also take a stand to improve and implement waste reduction by listening to student suggestions. Students themselves can partake in reducing plastic. They can join extracurriculars that cater to recycling events and environmental aid such as Leo Club or Key Club. Creating something new out of a mere grocery bag can contribute to the environmental movement and go towards reducing plastic. Most classrooms have at least one trash bin and one recycling bin. Leo Club, an environmental extracurricular, is responsible for taking the recycling bins from every classroom and bringing it to the school recycling.